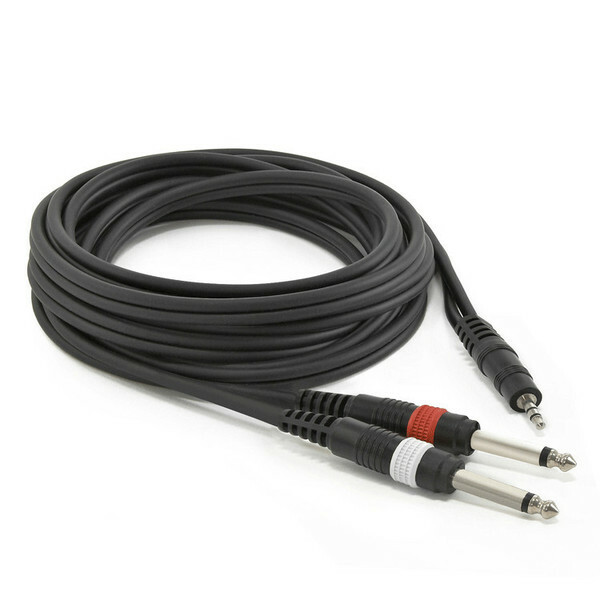 Stereo Minijack - Mono Jack Cable - quality 1 metre shielded cable with moulded 3.5mm (1/8") Stereo (TRS) Minijack to 2 x 6.35mm (1/4") Jack connectors. Useful for a variety of studio and live applications including connecting portable music players to mixing desks. View Full Description Picture for reference only, actual product may vary.